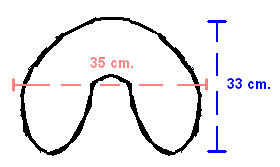 Heated in the oven, microwave or simply on the heater, the neck-pillow with cherry-stones has a beneficent effect in case of headache, cervical pains, backache, abdominal cramps, rheumatisms, stress, sleep troubles and can also be useful for a revitalizing massage of legs and feet after a fatiguing day. 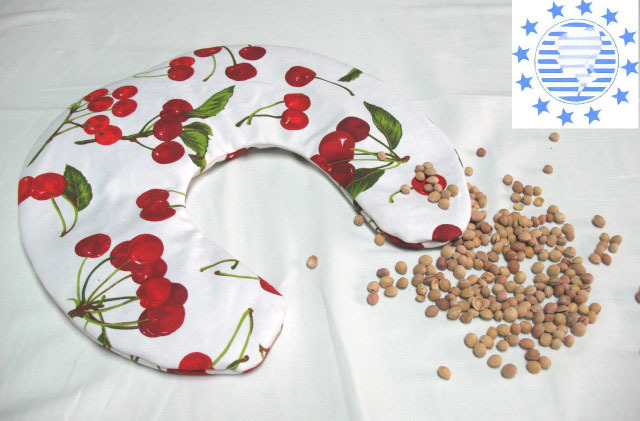 The neck-pillow with cherry-stones can also be used cold against migraine, inflammations, teethache, swelling, bruises, varicose veins, stretchings and bugs' stitch. To cool it, you only have to put the neck-pillow into the freezer or refrigerator. FILLING MATERIAL: cherry-stones carefully selected and processed (origin: Germany).